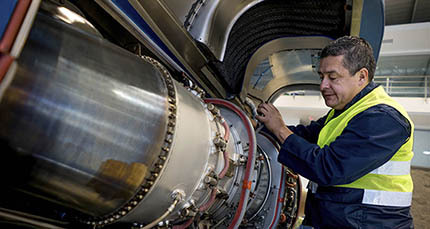 Total Training Support provide quality aircraft maintenance training to support your EASA Part-66 basic licence studies, whether you are an individual, self studying your way to the Part-66 qualification, or a training organisation, requiring study materials for your classroom courses. 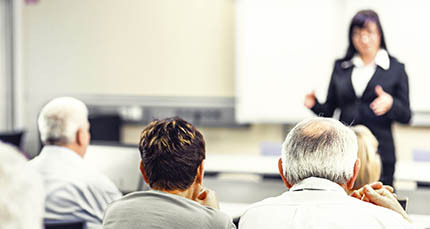 If you are a training organisation, a Part-147 approved or seeking approval, you can specify the content, the design, the build and the format. We can even supply you our World renowned Part-66 Modular training manuals in MSWord editable electronic format, so you can edit them and print them for your students. If you are self studying, we can supply you with Study Manuals in hard-copy build options to suit your pocket, or in eReader format, in full colour by default and zero postage costs. We also have a flexible on-line study support system to suit your lifestyle and work commitments, in the form of our club66pro.com study aid. Flexible distance learning for armed forces and ex-armed forces personnel. Use your ELCAS credits and get a 2-year study programme tailored to your needs, distance learning online, printed books and flexible style. In paper hard-copy format, supplied delivered to your door, on a module-by-module basis, in your choice of document build. Browse the Bookshop to see more information and get hard copy printed and sent to you by FedEx. If you are a training organisation, and you want us to manage your Study material for you, we will replace our logo with yours and incorporate your corporate styles. Just give us 10 days notice and we will deliver your training materials straight to your classroom. Big discounts are available for orders of 10 copies or more with this cost effective and low maintenance format of training delivery. In electronic eReader format, delivered to your email inbox and download, on a module-by-module basis, in full colour with no postage. Open and read on your desktop, laptop, iPad and android device (any two devices). Browse the Bookshop to see more information and get hard copy printed and sent to you by FedEx. If you are a training organisation, and you want us to manage your Study material for you, we will replace our logo with yours and incorporate your corporate styles. We provide you with the eReader documents and an unlock code for each of your students. Big discounts are available for orders of 10 copies or more with this cost effective and low maintenance format of training delivery. A computer programme which stores and manages EASA Part-66 multiple choice questions and generates, at your command, a paper format examination, or on-screen format exam, with marking sheet and instructor's copy, for your Part-147 examinations. Type and Basic versions are available. Optional multiple choice and Essay questions are included (Secure and/or Stock questions) - up to 22,000 of them! Print certificates too! More info at qbgenerator.com. Our club66pro online study tool has helped thousands of individuals through the EASA exams, featuring question practice, subject explanations and real human Tutor Support, as well as an online option of our World renowned study notes. We have already supplied sets of Part-66 Modular Study Notes to Part-147 approved organisations around the World. If you are setting up an aircraft maintenance training organisation and need Study Manuals, PowerPoint presentations and other courseware, with your own logo and corporate styling, which you can edit and print for your own students, get in touch for a chat, and a free quotation and/or Inspection Copies. We know how hard it is to write good multiple choice questions, compliant with the Part-66 syllabus and methodology, its Licence Catgories and Difficulty Levels. That's why we write them for you. All Modules and all Licence Categories (A, B1, B2, B3). You can be assured that they are secure (i.e. not in the public domain) and provided only under strict control of Part-147 security procedures. Following our recent update of Module 10 - Aviation Legislation, and the great positive feedback we recieved concerning this, we have just launched our latest issue of Module 5 - Digital Techniques / Electronic Instrument Systems. To support the growing trend for courseware material (Study Notes etc.) as an eReader option, Total Training Support Ltd are able to offer secure eReader products and services.